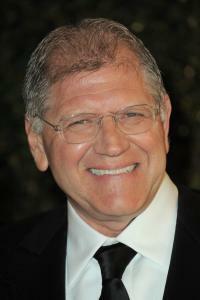 Robert Lee Zemeckis was born on May 14, 1952 in Chicago, Illinois, USA. Robert Zemeckis married actress Mary Ellen Trainor on July 26, 1980 and divorced her in 2000. Mary and Robert have a son, Alexander Francis. Robert married Leslie Zemeckis on December 4, 2001 in Italy and they have two children together, Zane and Rhys. His nickname is Bob and he currently resides in Santa Barbara, CA with his wife Leslie and their two children. His father is from Lithuanian descent. His mother is from Italian descent and he loves Italy so much that he married Leslie in Italy and they have a vacation home in Tuscany, Italy. He is 6' (1.83 m) and a Lithuanian-American film director, producer, actor and screenwriter. Robert is the screenwriter for all of the Back to the Future movie franchise and TV series. He is also the writer for all of the Back to the Future Part video games. He is a private pilot that has about 1,600 hours of flight time as of October 2012. His plane, Cirrus SR20 has a parachute that lowers the plane safely in the event there is an emergency. - Robert has directed three actors (Tom Hanks, Gary Sinise and Denzel Washington) who was nominated for Oscars for their performance. - He keeps a letter of rejection from all the studios that rejected Back to the Future (1985) because they think it was not good for a teen movie. - Robert owns ImageMovers and co-owns Dark Castle Entertainment with Joel Silver. - He graduated from the University of Southern California's School of Cinematic Art. 2006 - Jeremy Kagan from Scarecrow Press interviewed him in "Directors Close Up: Interviews with Directors Nominated for Best Film by the Directors Guild of America"